See Bangkok's top temples in half day with our private tour to Grand Palace and Temple of the Emerald Buddha (Wat Phra Kaew), Wat Pho (Temple of the Reclining Buddha), and Wat Arun (Temple of Dawn). Our Local Experts will show you beyond the iconic structures of these temples. 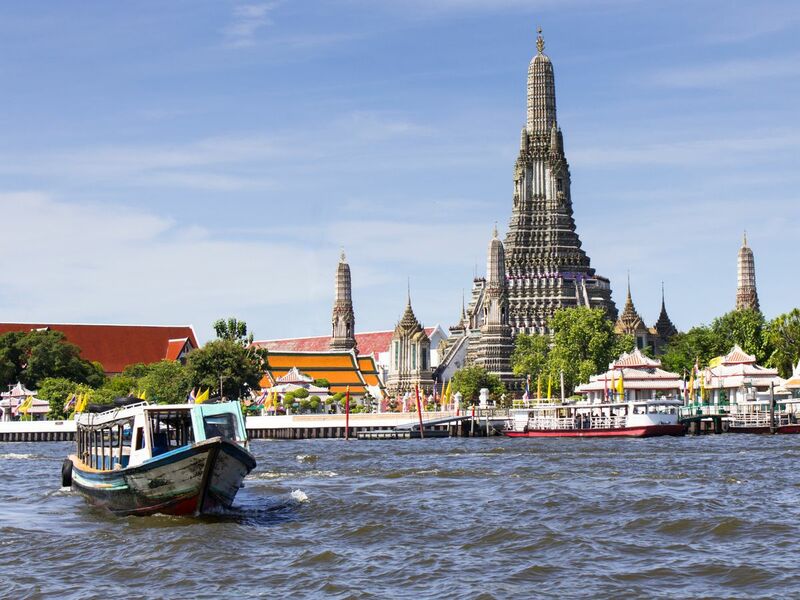 Start our private half-day tour to Grand Palace, Wat Pho and Wat Arun. The first stop is Grand Palace and Temple of the Emerald Buddha (Wat Phra Kaew). Admire the beauty of fine arts and architecture of the residence of former Thai kings and pay respect to the Emerald Buddha. Go to Wat Pho (Temple of the Reclining Buddha). Gigantic works of art like the Reclining Buddha and the pagodas aside, Wat Pho is also Thailand's oldest temple and the birthplace of traditional Thai massage. Check out the hermit statues around Wat Pho to see some techniques. Our last stop is Wat Arun (Temple of Dawn). Walk up Wat Arun's iconic prang (Khmer-style tower) and see the beautiful decorations from up close. Admission fee for grand palace is 500 THB per person. These temples are the MUST visit for Bangkok city sightseeing! We had a wonderful time during our tour. Our local expert was knowledgeable and friendly and knew so much about the city and would share some knowledge with us every step of the way. We were well taken care of every step of the way with our guide making sure we had everything we could possible need. The best tour we’ve been to! Kittichai was great. He was knowledgeable, spoke good English, was very courteous and a pleasant companion. There was some confusion about which hotel he was to meet me at -- may have been my fault because of lack of knowledge of Bangkok, but he resolved it quickly and efficiently by sending a GrabCab to pick me up at my hotel and meet him near the Palace so we didn't lose time for the tour.